Beautiful 2-story home in the heart of Murietta! This home has a custom grand entry that leads into a formal living and dining area with an abundance of windows and custom shutters throughout. The kitchen offers dark rich cabinetry, beautiful granite counter tops, stainless steel appliances and recessed lighting. Off of the kitchen is the family room with a dual fireplace that leads between the family room and the formal dining room. Upstairs are three large bedrooms and master suite with Master bath and custom cabinetry. Two other bedrooms are Jack and Jill and offer ceiling fans in every room. The home has a three car garage and a nice backyard with patio, palm trees and fruit trees. 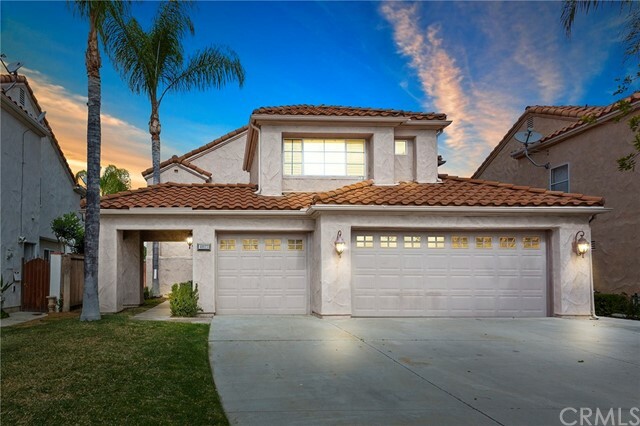 This home is located on a cul de sac close to shopping and freeway access! No Hoa and low taxes.